The Central government’s proposal to increase allocation to the north-eastern region by 21 per cent in the interim budget has evoked mixed reactions in Manipur with the Bharatiya Janata Party (BJP) welcoming it and the Opposition criticizing it. 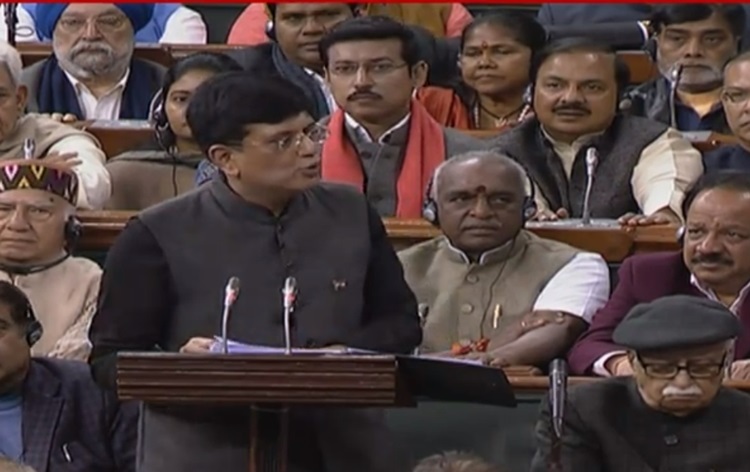 Union minister Piyush Goyal while presenting the Interim budget in the Parliament on Friday proposed to increase the allocation to the region by 21 percent to Rs 58,166 crore in the Interim Budget for 2019-20,according to reports. Reports said that the Budget provides major relief to the middle income section as individual tax payers with an annual income of upto Rs five lacs will get full tax rebate. On the other hand Ksh Santa,a key functionary of CPI(M) state unit claimed that Interim Budget 2019-20 is suppressing and manipulating data. The tall claim of record of the government and promises of a rossy future for all Indians- which are a cruel joke played on the sufferings of the people of the country, he alleged. “The Union Budget is, therefore, yet another reflection of bankruptcy of Modi Government. No amount of spin can, however, remove the distress that farmers and workers and people in general feel or the poverty and joblessness people actually experience,” he further claimed. “This grim reality will assert itself in the 2019 electoral verdict,” he added. Sharing a similar sentiment, general secretary Kh Debabrata of the main opposition Manipur Pradesh Congress Committee (I) in Imphal when contacted on phone said that the Congress party is deeply disturbed by imposition of Citizenship (Amendment) Bill, 2016 against the will of the people. “So how much we’re getting or not in the budget are not important to us now,” Debabrata who is the spokeperson of the Congress party added.